Peco Streamline Points Bundle Code 100 Insulfrog. Condition is Used but only the two on the right have ever been used, others unused but no box. All excellent working order. Dispatched with Royal Mail 2nd Class. SL-87 LARGE RADIUS CURVED LEFT HAND X 1. Point is in working order. We are enthusiasts and modelers who have successfully turned our hobby into our livelihood. Needs a clean. Code 100 Insulfrog. Single Slip Point. Code 100 Insulfrog Left Hand Large Point. PECO SL-89. Code 100 Insulfrog. Peco Streamline SL-85. Catch Point Left Hand. Code 100 Insulfrog. 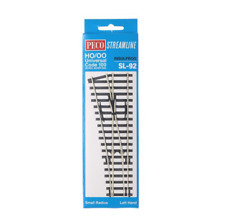 Peco Streamline SL-86. Right Hand Large Radius Curved Point. 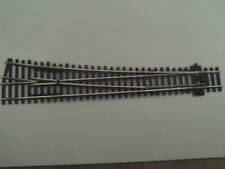 OO/HO Gauge. PECO STREAMLINE SL-88X & SL-89X INSULFROG LARGE RADIUS POINTS X 2 IN BOX V.G.C.